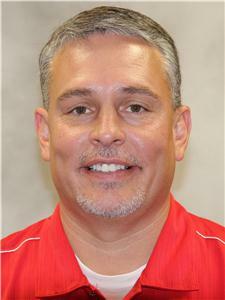 Jeff McKinney has been named athletic director/assistant principal at Dalton High School effective July 1. Mr. McKinney replaces Ron Ward, who moved to the associate principal’s position at the school. Mr. McKinney currently serves as the varsity girls’ basketball coach and teaches math at the school. Mr. McKinney has been at Dalton High School since 2001. As coach of the Lady Catamounts’ varsity basketball team, the team advanced to the state playoffs for 10 out of his 12 years as coach, finishing as runner up in 2011. He also was recognized with the Region Coach of the Year Award in 2011. He previously served as head coach of Dalton’s varsity girls’ softball team in 2012, taking them to the sweet sixteen in the Class AAAA playoffs. He has 21 years of experience in education and has previous experience working in school administration at Rossville Middle School before coming to Dalton High. “We are fortunate to get someone with Jeff’s background to serve as athletic director and assistant principal,” said Steve Bartoo, principal at Dalton High School. “He has served as a coach for many years in both male and female sports giving him a good understanding of the comprehensive athletic program offered at Dalton High. I look forward to having Jeff join our administrative team at Dalton High. Mr. McKinney holds a specialist’s degree in education from Lincoln Memorial University, and a master’s degree in educational leadership and a bachelor’s in mathematics education from the University of Mississippi.